Jakarta History Museum or also called Fatahillah Museum in Kota Tua, Pinangsia Urban Village, Taman Sari, West Jakarta will be temporary closed on December 11-15, 2017.
" Museum will be closed from Monday to Friday, on December 11-15, 2017"
Jakarta Tourism and Culture Dept. 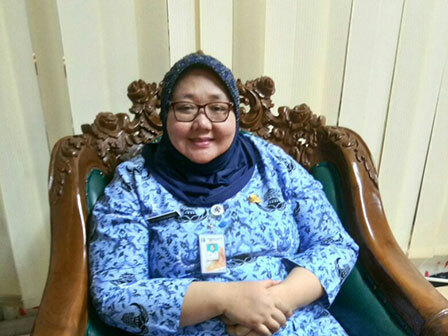 's History Museum Management Unit Head, Sri Kusumawati said, during closing period, her side will install sticker and label, then input some museum collections to display cabinet (vitrin). "Museum will be closed from Monday to Friday, on December 11-15, 2017," she informed, Saturday (12/9). She explained, renovation in entire museum display area is already entering final phase. "We want visitors to see museum collection in new display area which is more comprehensive and attractive," she mentioned. She ensures Jakarta History Museum to open again on Saturday (12/16). "This is our duty to enhance service quality and comfort for visitors," she added.